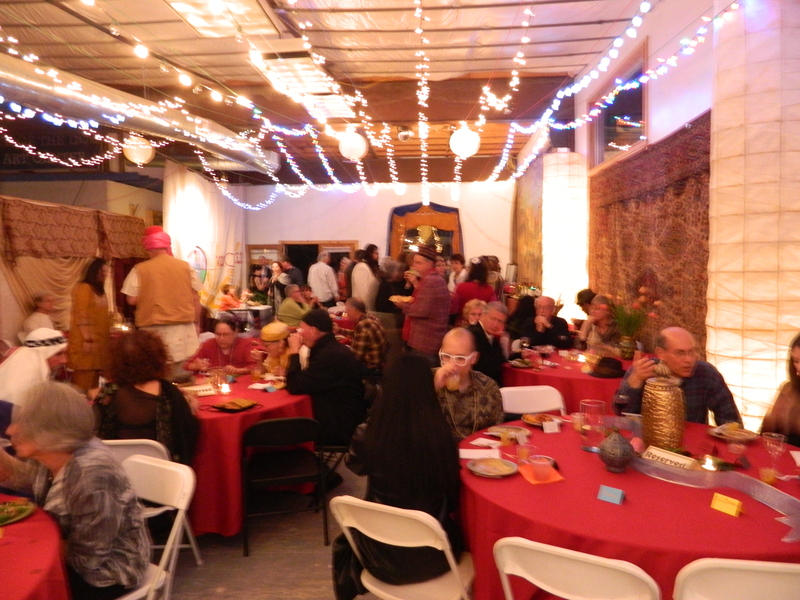 Last week I had the incredible good fortune to participate in a community-built fund raiser for the art center of some friends. As the guest list grew and grew, so did the food order. I made Doro Wat, a dish that is so prevalent in Ethiopia it’s considered the national dish. I was thrilled with how it turned out. More good fortune allowed me to use authentic Ethiopian beriberi, the spice mix that’s the center of the dish. The beriberi was given to me by an Ethiopian friend. It could have lasted me forever but I used half of it in this batch. I have a bit of a hoarder mentality so when an occasion comes up that is so good that it qualifies for use it now, I’m prepared. This was one of those occasions. Several people asked for the recipe. Authentic Ethiopians, please excuse the adjustments. I used what I had. Take 20 lbs. of skinless chicken thighs and cut into bit sized pieces. Marinate in the juice of 15 tart tangerines, and about 3/4 cup of salt while you cook the onion mixture. Add about 3 c. olive oil to the pan (BIG PAN); add about 2 c. beriberi, 1 c sweet paprika and 1/2c Alleppo Pepper. Heat until spice smell a bit roasty but be careful not to burn them. Next add the ground onions, etc. and cook to get the water out of the mixture. Again, be careful not to burn it. In a big batch, it’s very easy to burn. You won’t have the same trouble I did. (still scrubbing out the pot). Add in the chicken pieces with the marinade and a bottle of red wine. Cook ’til thickened and the chicken is tender. Add 100 hard boiled eggs and continue to cook for an hour or more. If it’s too thick, thin with water, a little at a time. Taste for salt and heat and adjust as you like. For those of you who want to make less, I used this recipe loosely and multiplied it by 10. We’re having friends over for leftovers tomorrow. This is a great video in which Bobby McFerrin demonstrates what an entire audience knows. If you haven’t seen it, it’s very much worth a watch. If you have, here it is again. It’s worth two. I’m trying to figure out what it means for my work.